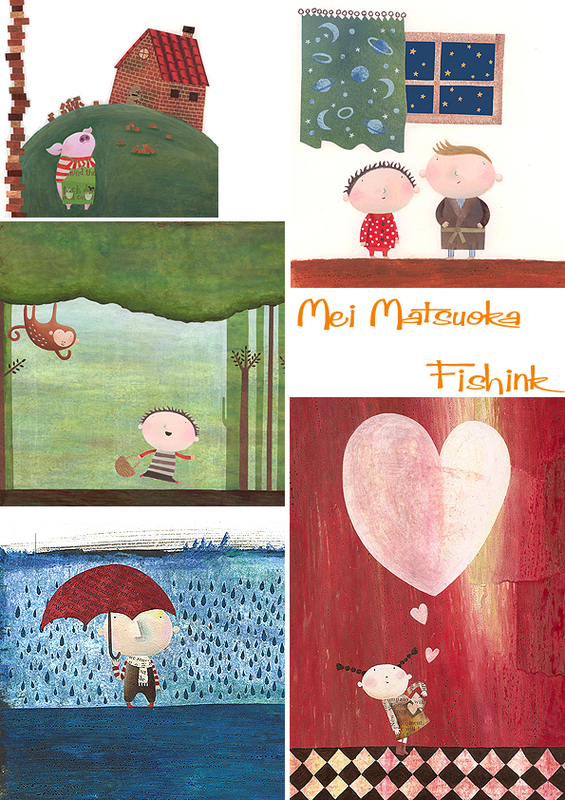 Mei Matsuoka already has a wealth of illustrated books in her portfolio. She organises interactive days with different schools and talks about them on her blog. 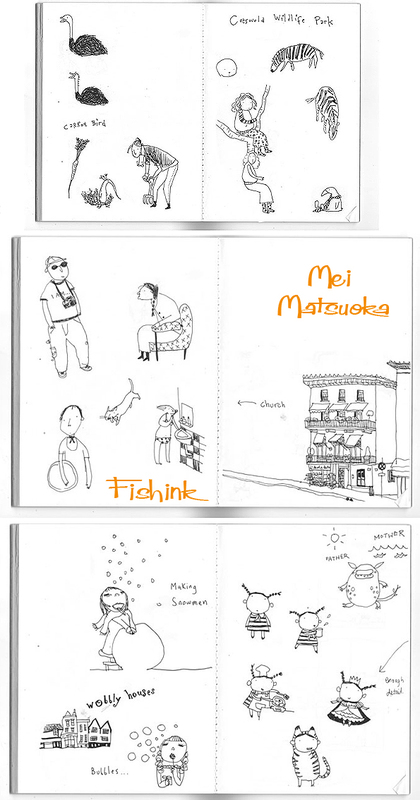 She also creates fun sketches. She also likes tortoises, wearing toe socks and collecting hats. They presumably come in handy as she also likes snowboarding ! Mei agreed to kindly answer a few questions for us. 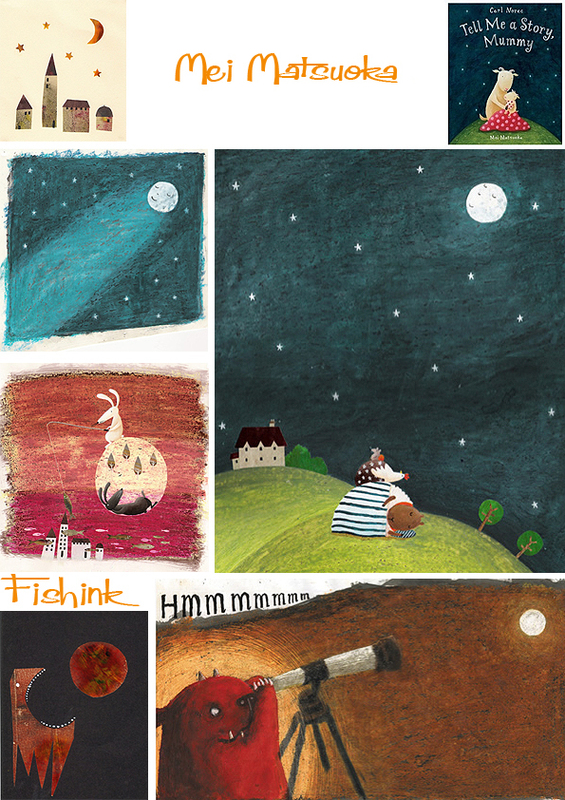 How did you initially get interested in illustrating children’s books ? I kind of fell into the Children’s book area. I have always loved drawing and knew that I wanted to do something arty (Or to work with animals – which didn’t/hasn’t happened so far!) I realised that this ‘something arty’ was Illustration, while I was at college in Bletchley. After graduating with a BA in Illustration/Animation at Kingston University, I was keen to get into any area of either of these disciplines. Children’s book publishers were the first to approach me and it just went from there. I am still keen to work in Animation, Editorial, packaging; just anything really! It is the process of image making and conveying of messages that interests me and as an illustrator I want to challenge myself in all sorts of ways. Children’s books are brilliant though, as you get 15 full spreads to work with and I love the playfulness that you can inject into it. What are some of your earliest memories of your own children’s book collection. Any favourites ? 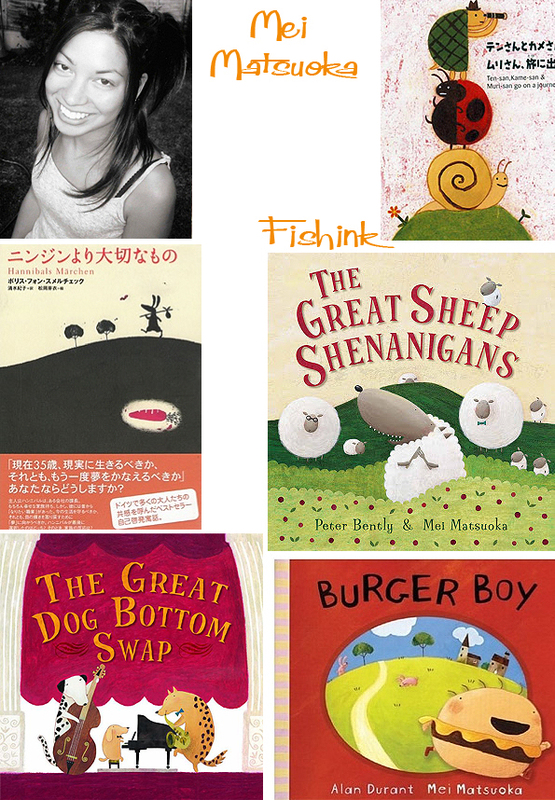 I grew up in Japan until the age of 11, so many of my books were Japanese – although around 50% of the Children’s books in shops and libraries were translated publications from abroad. So I had a rich diet of books from all over the world, as well as Japanese specialities such as Manga books. Also, my grandmother used to send us books like ‘Dogger’, ‘Super Ted’ and Roald Dahl so that we could practise our English. I spent hours in the library and often favoured scary, quite dark books. I liked mysterious and dark East European stories, Stylised French/European picture books and quite sad and melancholy Japanese ones. This makes me sound like a troubled child! (lol) But I wasn’t – I just enjoyed stories and images that had a strong emotional impact and stayed in my mind long after reading it. I loved ‘A Lion in the Meadow’ by Margaret Mahy, which I always found quite scary – I felt that the illustrations were very moody, they really left an impression on me. Which book that you’ve worked on did you enjoy the most ? 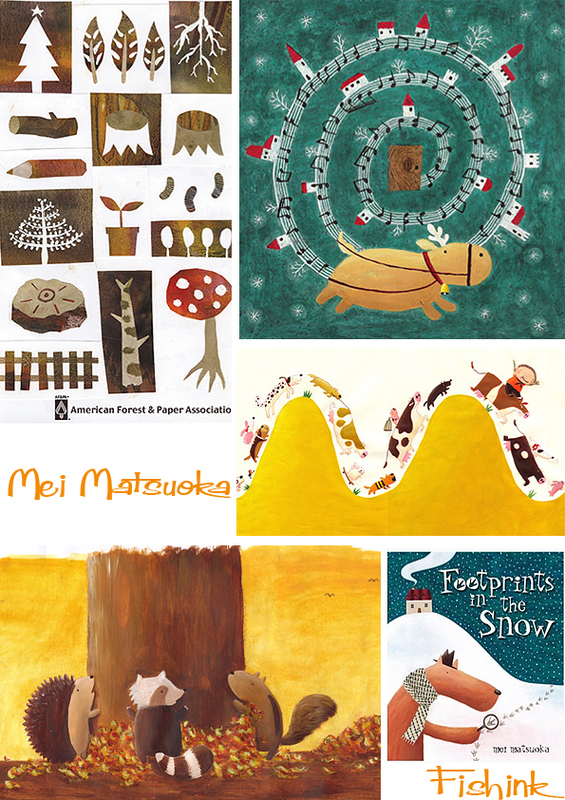 I enjoyed working on ‘Footprints in the Snow’ the most. Mainly because it is my own story and I had more freedom to visualise it as I wanted. Can you explain the process you would typically go through when you first get approached to illustrate a book. Would the work come through your agent and do they suggest any ideas for images or do they all come from yourself ? Now a days, I usually first get approached to do a book directly by publishers that I have worked with in the past. I have an agent who sometimes finds me jobs with somebody that I have never worked with before, but it is usually a commission to illustrate a new text that has arrived at a publisher that is known to me. It’s nice to work on many projects with the same Editor and team as you build up a strong relationship and a good understanding of what makes eachother tick. 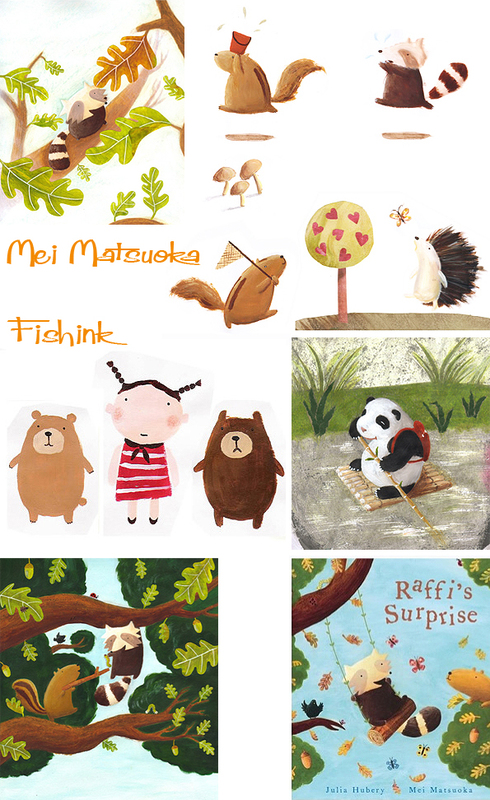 When I was first starting, I built up a portfolio of ideas, drawings, sketchbooks, etc and together with my agent we approached publishers that were interested in seeing something that could potentially be put together with a good story. You mention on your site that you work with animation, can you tell us a little more about this ? Unfortunately, I haven’t worked on an animation for a while now… I used to make a lot at Kingston. It’s difficult without easy access to the facilities, as I enjoy making 3D model animations. (Although now a days it’s much easier to do it on your laptop isn’t it? – I’m not very techsavvy!) I would love to have the time and opportunity to do some more. Some of my books have been animated by others (Such as ‘Burger Boy’ on Bookaboo, which was read by Jonny Vegas) which is always great fun to see! Any future aims, desires or want – to – do’s ? I currently have a story on hold which I initially wrote around 4, 5 years ago now. I’ve been desperately trying to find the time to illustrate it, but unfortunately, so far other things have been taking precedence. As I have had a lot of time to reflect on the content and re-work it, I am quite happy with the roughs and storyline and am planning to start the actual artwork from the beginning of next year. I am REALLY excited about this! I will just tell you that it’s about a boy called Henry, but as soon as it is completed (If you are interested) it will be nice if you can be one of the first to see it. Thanks Mei, that would be great. I love the little guy below carefully balancing his newspaper brolly in the rain. And the girl with a pocketful of hearts ! Lovely ideas.